In the whole state-wide list of all the conservation land the state is considering for acquisition, throughout Florida’s 67 counties, Hillsborough is one of only 4 counties where the state lists NO proposed conservation projects. The State says that’s because the County hasn’t applied for funding in years. The County says they gave up applying for funding back in the 1990s because the State wouldn’t approve Hillsborough’s proposals. 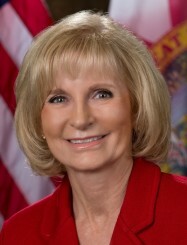 In recent years, the Scott administration gutted Florida Forever’s land-buying funding anyway, making any applications pointless; but then the state’s voters changed the game completely with Amendment 1, mandating that the State spend about $22 billion on conservation over the next 20 years — much of which comes from our county, some of which should be spent in our county. I urged citizens to join me in asking the State to be more receptive to our county’s conservation proposals while also encouraging the County to apply for state funding to help our county’s Environmental Lands Acquisition and Protection Program (ELAPP), which has a wish-list of 27,000 acres of environmentally valuable land we need to buy to protect. County Commissioner Sandra Murman responded to our emails and requested staff to address this, which they did at the last Commission meeting. So now the County will apply for State funding to buy and protect conservation lands in our county. The County does have an eye on two potential acquisitions that could be eligible [for state funding]. One would include land adjoining Blackwater Creek and the other would be land that connects to Lower Green Swamp Preserve, formerly called Cone Ranch. They total 10,000 to 15,000 acres in the northeast quadrant of the county. In anticipation that the Florida Forever Program will have additional funding, staff will initiate actions to submit an application, provided that the owner(s) do not object. The next step for the County is getting matching funds ready. As with funding from any State conservation program, a key factor is the availability of matching funds. While it is possible for a local government to submit a site to Florida Forever without a commitment to provide matching or partial funding, this lack of participation from the County will make it even more difficult for a project to rank high enough to be funded. Historically, the County has provided joint funding for any Preservation 2000 or Florida Forever project. In order for the County to get the funds needed to match the State funds, the County needs to issue a round of bonds. 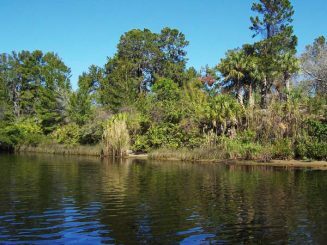 In 2008, Hillsborough County voters authorized the County to fund ELAPP, the county’s conservation land-buying program, with $200 million in bonds. In 2009, the county issued $59 million in ELAPP-funding bonds, and of that, only $3.5 million is left. So now it’s time for the County to issue another round of bonds, to continue funding ELAPP, as the voters directed. State Senator Tom Lee and his staff have dug into this and are working hard to help Hillsborough get our share of state conservation funds. State Representative Janet Cruz met with me and Tampa Bay Sierra Club chair Kent Bailey, and is very receptive to our concerns. Some of us tried to talk to the State’s DEP land-acquisition committee (ARC) about this, but none of them showed up for their twice-yearly public meeting. We’ll all have to try to persuade our state legislators to spend Amendment 1 funds on conservation, as the voters directed, instead of siphoning our funds off for their own agendas. Next story Sierra Club on county’s proposed sales tax increase: better growth policies and other transportation solutions should come first.